Is the artichoke your favorite vegetable? Probably not. It looks intriguing with its armor-like exterior, and this might be one of the reasons why we assume it tastes as it looks. The artichoke is pretty much like a flower and a cabbage’s lovechild. But rest assured–once you get past the intimidating exterior, you’ll find a sweet taste, which allows it to be used in many different ways: grilled, roasted, steamed, just to mention a few. You might be surprised that artichokes, similar to kale, are considered a superfood, with greater antioxidant benefits per serving than most of the traditional foods considered to be rich in it. Same thing for dietary fiber, leaving beans, peas, broccoli and even avocado, in complete dust. Studies have even shown that 1800 mg of artichoke leaf extract per day over 6 weeks reduced around 20% of the bad LDL cholesterol and 18% of the total blood cholesterol. 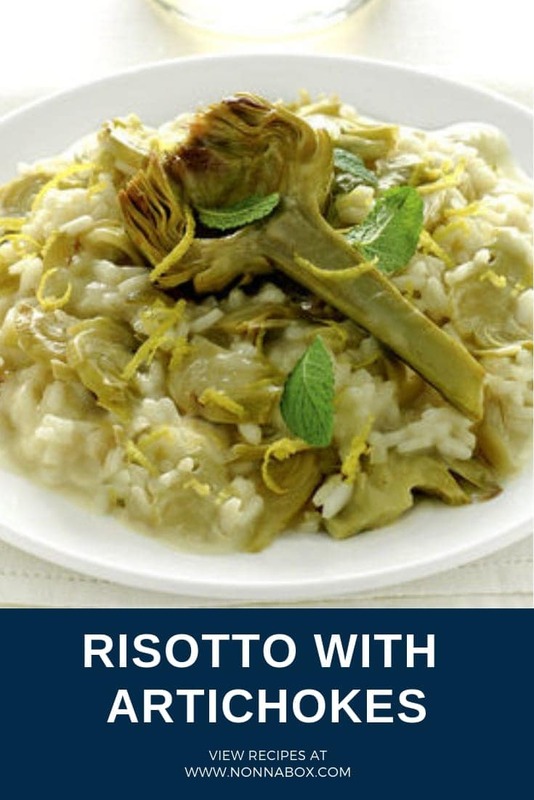 And of course, given the fact that artichokes are often misunderstood, we felt the need to give it the place it deserves in the Italian cuisine, with an amazing and easy risotto recipe. 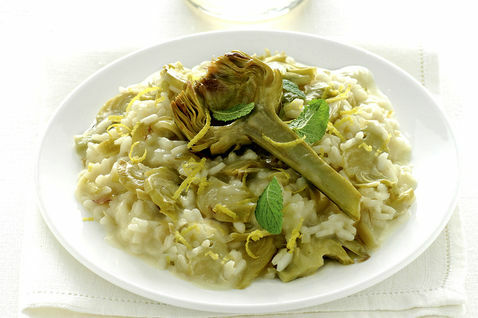 As a tip, if you want to make the risotto with artichokes meaty, add about 100 grams of lean ham when the rice is cooked. Stir it with the rice, a few basil leaves, and a good dose of balsamic vinegar. Cut the onion into thin slices. Put it in a pan and add a little water and cook. Meanwhile, remove the thorns and tough outer leaves of artichoke, and the beard inside. Wash and cut it into thin slices. Add to the pan, add the vegetables. Pour a ladle of broth and stir until it is absorbed. Continue until the rice is cooked evenly. Turn off the heat and add the Parmesan cheese. Were you surprised by how much you liked artichokes? I must admit that artichokes are not my favorite vegetable but since it was added with risotto and the recipe tasted much better than what I have in mind I will be cooking some more of it. Thanks, nonna box for sharing this recipe.